Hacking incidents such as these can have devastating consequences for victims. Companies like Marriott that collect and store customers’ sensitive information know that it is valuable to criminals and know that, every day, people are harmed when their data is stolen. While the theft of credit card information is obviously damaging, “biographical data gained from multiple sources to perpetrate more and larger thefts” presents an even larger, and more persistent, threat. Unfortunately, this is exactly the sort of information that appears to have been lost stolen from Marriott’s Starwood guests. Criminals that steal personally identifiable information are increasingly sophisticated. They know the chances of success may decrease when hacked companies pay for credit monitoring for their victims. Since these companies will not pay for credit monitoring forever, criminals will sit on stolen information, biding their time until those affected let their guard down. The U.S. Government Accountability office has found that “stolen data may be held for up to a year or more before being used to commit identity theft.” Furthermore, once a victim’s information is made available to criminals on the dark web or other criminal areas, “fraudulent use of that information may continue for years.” This makes monitoring victims’ finances for a year an insufficient remedy. With the potential devastating and lasting effects of data breaches on consumers, it falls on companies like Marriott to protect that data. They are collecting data of people like you so that they can get and keep your business. In a modern economy, people are certainly willing to provide that information to make for a smoother and easier transaction. However, customers’ often have no option if they want to do business with a company in today’s economy: they must provide their private personal and financial information, and they have absolutely no way of protecting themselves once they surrender it. A company cannot simply mishandle customers’ personal information. That is not part of the deal we strike with electronic transactions. This is why law firms like Price Armstrong are standing up for victims of data breaches and fighting to get them the remedies and protection they are entitled to. 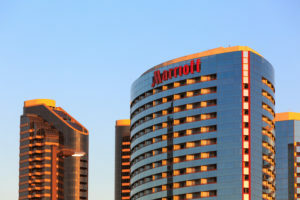 Massive, extended data breach within Marriott’s hotel empire, Associated Press, Nov. 30, 2018. https://www.apnews.com/d496fce7a77347d6aa058470d38a69bc. Starwood Guest Reservation Database Security Incident, Kroll, Nov. 30, 2018. https://answers.kroll.com/#. 2014 PCI Compliance Report, Verizon. http://www.nocash.info.ro/wp-content/uploads/2014/02/Verizon_pci-report-2014.pdf (hereafter “2014 Verizon Report”), at 54. Interactive Toolkit, Fighting Back Against Identity Theft, Federal Trade Commission. http://www.a2gov.org/government/safetyservices/Police/Documents/FTC%20identity%20theft%20guide.pdf. Signs of Identity Theft, Federal Trade Commission. http://www.consumer.ftc.gov/articles/0271-signs-identity-theft. 2013 Identity Fraud Report: Data Breaches Becomind a Treasure Trove for Fraudsters, Javelin Strategy and Research. www.javelinstrategy.com/brochure/276. Report to Congressional Requestors, Government Accountability Office, June 2007. http://www.gao.gov/new.items/d07737.pdf.